In an interview with the German Press Agency, Nabil Naem, a former leader of the Egyptian Islamic Jihad movement, announced that he will participate in the 30 June protests against President Morsi. Naem, who described the policies of the Muslim Brotherhood as "malfunctioning," says he does not know what to expect on 30 June. However, he emphasized the importance of participating in the demonstrations, which call for early presidential elections. According to Naem, members of the "so called" Islamist political parties account for less than 10% of all Islamists in Egypt. Since these parties are concerned only with their own political gain, he added, they do not accurately represent the Egyptian Islamist and Salafist current. Even though the president did not have a compelling Islamic project during the elections, Naem voted for Morsi in the second round because he did not want Ahmed Shafik to win. Naem added that political work should not be confined by religious doctrine. He said the current Ethiopian dam crisis, the recent murder of a police officer in Sinai, and the kidnapping of seven soldiers in Rafah last month proved the political failure of Morsi's administration. 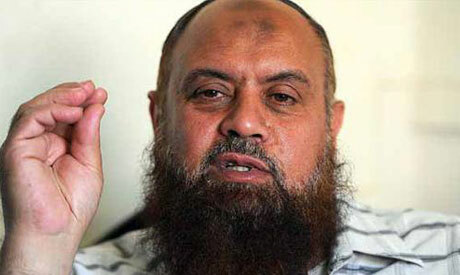 Naem, who gives priority to Egypt's social and economic problems over "secondary" issues such as shutting down bars, condemned the threats made by other Islamist forces to the 'Rebel' campaigners. For example, Assem Abdel-Maged, a leading member of the ultra-conservative Al-Gamaa Al-Islamiya, has asked the Coptic Orthodox Church to not “sacrifice its Coptic children” by allowing them to participate in the mass rallies planned for 30 June. In addition, Abdel-Maged has allowed for the possibility that Morsi supporters would abort the protests by force, stating "there is no limit to what might be done to protect the legitimacy [of the president] and the state." Naem said that those who accuse the church of supporting the 'Rebel' campaign are attempting to incite sectarian tensions to divide the region. Moreover, he dismissed the strength of Islamist forces who threaten to call for an Islamic revolution on 30 June.